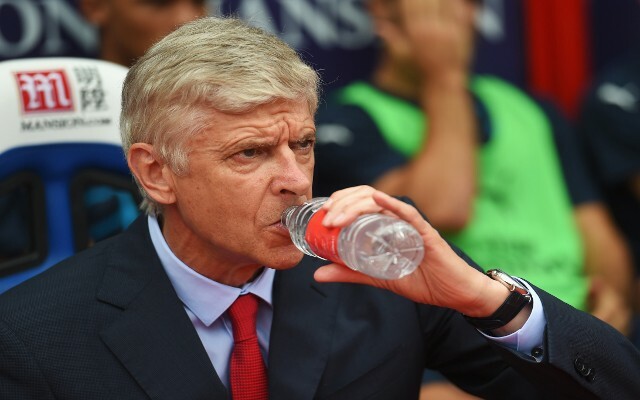 Following Arsenal‘s humiliating 4-0 defeat to Southampton on Boxing Day, Arsene Wenger looks set to launch into the market in January to try and address his side’s failings. The Daily Star have reported that the Gunners are keeping an eye on Bayer Leverkusen striker Javier Hernandez ahead of a possible move next month. The Mexican striker was axed from Old Trafford by Louis van Gaal during the summer, but the Dutch coach will surely have questioned his decision in the intervening months. While Manchester United have struggled for goals—with the likes of Memphis Depay, Anthony Martial and Wayne Rooney struggling for form and consistency—Chicharito has exploded into life in the Bundesliga, hitting 19 goals in 21 games to date this term. It’s hard to fathom why van Gaal let the forward depart considering his impressive goals-to-minutes ratio. It may be that LVG’s error is to Arsenal’s advantage, with the tabloid noting that Wenger, encouraged by the suggestion that Hernandez is keen to have a second go at the Premier League, is eyeing a January move for the forward. While Hernandez may not automatically start at Arsenal, he would be fine cover for hit-and-miss Olivier Giroud and injury-prone Theo Walcott.